Author: Ben Jelloun, Tahar Set In . . . Description: Renowned for his compeling , humane portraits of everyday Arab lives, Tahar Ben Jelloun has affirmed his place in the literary world by winning such awards as the Prix Goncourt and Prix Maghreb. 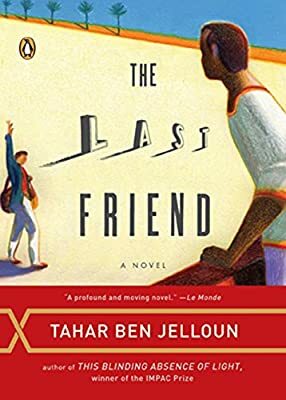 In The Last Friend, Ben Jelloun presents a spellbinding coming-of-age story and a dazzling portrait of Morocco in an era of repression and disillusionment. In Tangiers in the late 1950s, two teenagers, Mamed and Ali, strike up an intense friendship that will last a lifetime. But lurking just beneath the surface is a deep, unspoken jealousy in danger of destroying them both.